Public administrators in the professional development milieu are typically immersed in a myriad of day-to-day and program planning endeavors. In this setting, the time and effort to conduct empirical research may seem a purely academic exercise. Such research might be construed as disconnected from the “real” work of developing, executing, and assessing programs. However, evidence-based studies can form the basis used to inform training administration in the sector. 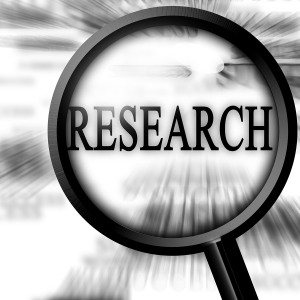 Empirical Study Research – What and Why? The Merriam-Webster dictionary defines empirical as “…based on observation or experience and capable of being verified or disproved by observation or experiment…” Merriam-Webster. The experiential and validation elements of empirical studies are pivotal to their referential significance for public sector training administrators. A key factor that determines empirical research consistency is peer review designation. Subject matter and methodology expert panels authenticate empirical studies after determining the validity and reliability of their results. Public administration professionals who typically look to training industry and/or sector sources for decisionmaking information will find peer review a distinguishing component to apply research information. Additionally, training administrators can look to longitudinal studies (conducted over 10+ years), to understand the long-term outcomes of professional development theoretical concepts, policies and methods. Alternately, training practitioners can focus on current research (within a five-year timeframe), to assess training approaches and outcomes that may be applicable for programmatic purposes. Conceptual ideals about how individuals in professional settings learn may form the bases for promulgating, or revising professional development policies, procedures or practices. As one example, Wenger’s Community of Practice study analyzes a social learning framework in online and blended learning approaches, A Critical Review of the Use of Wenger’s Community of Practice (CoP). This form of methodological study moves beyond touting the “latest and greatest” techniques. Instead, it presents a practice-based, inn in-depth and vetted analysis of a theory’s applicability and outcomes. Training administrators may be particularly interested in this form of study for its recommendations for further adaptations. The means and approaches for evaluating trainee performance and professional development program content and design may be analyzed based on empirical studies. Peer-reviewed works may be referenced to determine applicability, alignments and ongoing improvement of public-sector training. Practice-based analyses from the higher education environment may be synthesized within the public sector training setting to determine effective adaptations for practitioners. Relatedly, a recently published study focuses on assessment tools and practices in the online setting, Evaluation Instruments and Good Practices in Online Education. Empirical Study Research: Practical Considerations – When? There is no way around the fact that the processes of empirical research and analyses take time. Public administrator training professionals may likely already incorporate information compilation and assimilation within the daily scope of their responsibilities. However, the breadth and depth of one empirical study might equate to reviewing several industry and/or sector topic articles. Additionally, depending on the staff make up of a training department there may or may not be sufficient individuals to delegate the research and analyses tasks. The training decisionmaker may want to consider weighting the responsibilities of two or more staff members more heavily toward research-based work. As a final consideration, empirical research and review may be included as a cyclical project (e.g. quarterly), assigned to designated department members on a rotating basis. Empirical Study Research: Practical Considerations – How Much? Cost is a factor in assimilating peer-reviewed, empirical research for program planning purposes. Training administrators will need to plan for and assess the cost of publication subscriptions. Depending on the intended frequency of use, the cost for research-based publications may be folded into the training department or agency’s consumable line budget. Empirical studies are typically available in print and electronic form within larger publications. Additional sources of applicable peer-reviewed works include published doctoral capstone studies. Training professionals may find capstones particularly useful as practice-based references. A training-based doctoral capstone project presents an applied approach for an articulated training policy, process or content problem. Doctoral capstones may be purchased as individual publication products and may offer a more cost-effective solution in contrast to ongoing professional subscriptions. Ultimately, the long-term and multi-faceted elements of adapting empirical, peer-reviewed research should be considered for potential benefits. Training program planning, development and assessment can be guided from pre-evaluated subject-matter expert sources for the ongoing effectiveness of public sector training functions. Author: Janet Thompson, MPA, is an Education Program Development Specialist in the Training Office of the New Jersey Civil Service Commission. She develops and edits professional training programs and varied publications for delivery to state employees. Janet has over 20 years of combined higher education teaching and administration experience. She is currently an adjunct instructor for SUNY Empire State College and Rockland Community College where she teaches undergraduate students in International and Humanities programs, respectively.